His name is Semeon Nikolayev. Finally I can show the world pictures of him for I have plenty, from ancient concept art to newest sketches full of horrible spoilers (wait, no, those I still can't). Anyway, I'll be posting Semeon a lot, probably on instagram or other platforms (links to which you can find on the main page of this site). Which reminds me: yes, I finally built a semi-proper website for Noosphere, yay. 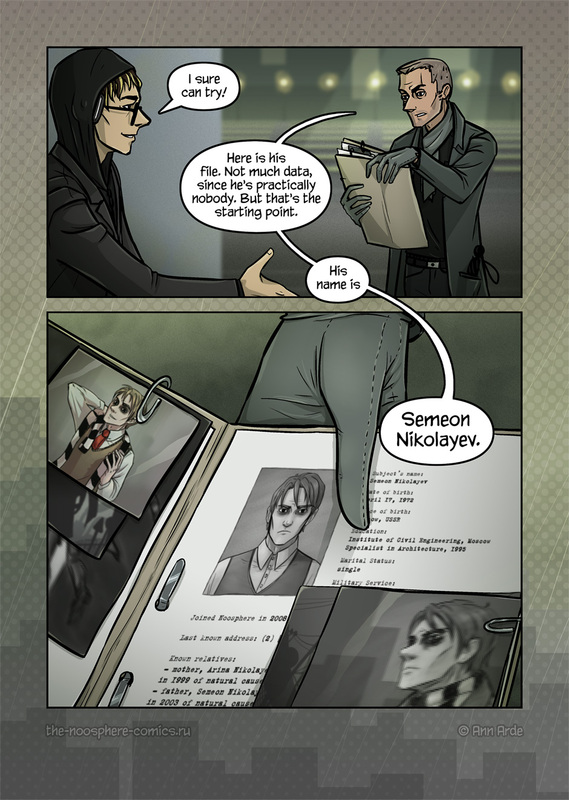 It's just bare bones for now: comic pages and comments, but at least it works, huh. I'm planning to add blog and picture gallery in nearest future and some other features. If you have any suggestions — or, maybe found a bug here? — feel free to leave a comment. And these are two birthday presents to myself: Semeon reveal and a website, it was a lot of hard work but it's totally worth it!